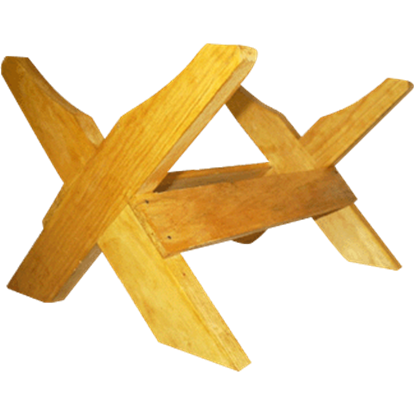 These wooden crossbar stands are available for our 5 and 10 liter oak barrels. 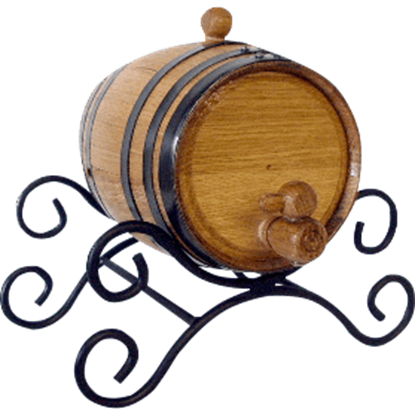 All barrels come with a basic stand, but if you want a different stand to give your barrel a unique look, we offer these styles to do just that. 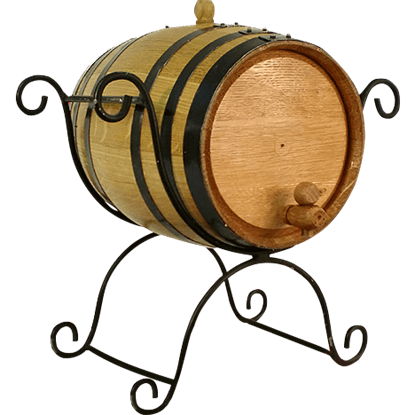 This wrought iron stand totally changes the presentation of your barrel when compared to the wood stand that all barrels come with. If you are looking for a little added elegance, this wrought iron stand is what you need!